There are some stories that seem tailor made to be adapted to the big screen. And there are some movies that create instant interest as soon as they are announced. “The Island of Dr. Moreau” seems like one of those stories. And it seems like one of those movies. Of course, for anyone who saw The Island of Dr. Moreau (1996), and not many did ($27 million total domestic gross), they quickly discovered it was NOT one of those movies. 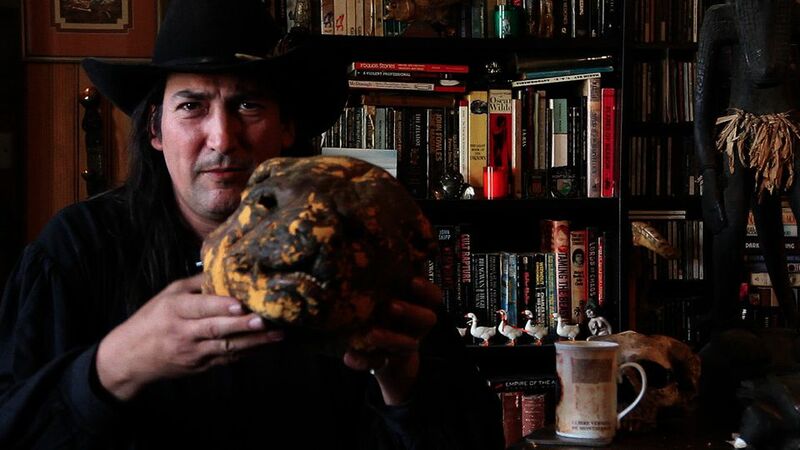 While the movie itself turned out to be a complete mess and a destined box office bomb released in the no mans land of late August in the summer of 1996, the struggle behind the making of The Island of Dr. Moreau is where the true story of this film lies. And it’s a doozy. 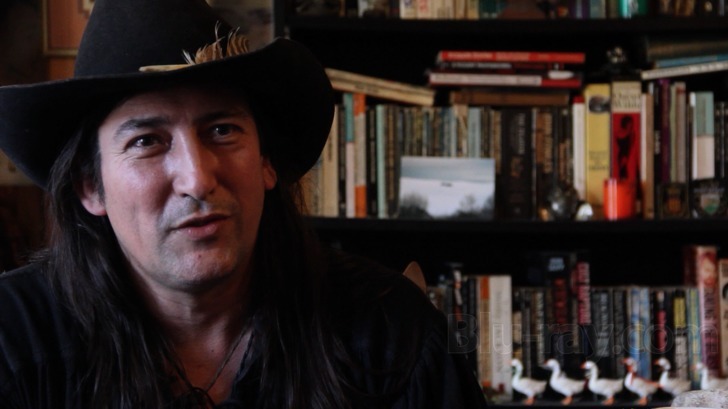 Richard Stanley was a visionary filmmaker on the rise in the early 1990s, making the cult classics Hardware and Dust Devil. Dr. Moreau was supposed to be his big step into the limelight, a studio backed mega release where the filmmaker could showcase his visionary talent. Lost Soul shows us early set designs and storyboards from Stanley himself, and they seem to differ greatly from Dr. Moreau‘s final product, with the directing duties taken over by John Frankenheimer after Stanley was kicked out. Stanley’s version seemed to want to focus more on the animals of the story instead of the humans, and it looked to be much darker and bizarrely fascinating. Lost Soul brings in actors from the film who share their stories and versions of what happened on the set of Dr. Moreau. 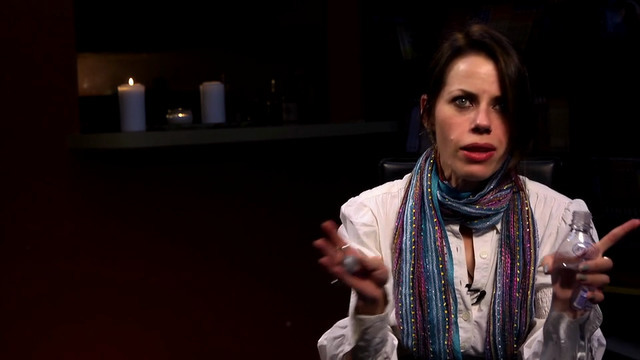 Most notable are Fairuza Balk and Fiona Mahl, who provided Lost Soul with home movie footage of the cast and crew sitting around in hotel rooms drinking and smoking pot, almost all of the time in costume and makeup because just maybe they would film some scenes that day. It is frightening and hilarious to see these actors made up in their creature costumes just hanging around with other people doing very human things. Perhaps these home movies is where the true Dr. Moreau lies. Lost Soul also gets to the true heart of the problems for The Island of Dr. Moreau: the casting of Marlon Brando and Val Kilmer, two Hollywood actors with egos larger than the island itself. Plenty of time is spent on the shenanigans of these two, from Brando not memorizing his lines (at all) and demanding an ice bucket be placed on his head while in character as Dr. Moreau, to Kilmer refusing to come out of his trailer for filming until Brando did first. And vice versa. The original pick for director of Dr. Moreau, Richard Stanley, the centerpiece of Lost Soul, is quite an odd character himself. From stories of him refusing to leave a tree house on set to stories of witchcraft, he seems to fit right in with the behind the scenes circus that was the filming of The Island of Dr. Moreau. He does come across as the victim of all of this however, and the viewer does feel for him and is left wondering what could have been. And yet, without that knowledge, they laughed at Brando. That’s when I thought Lost Soul perhaps did TOO good a job of getting the audience firmly behind Stanley and Stanley only. But that was a minor observation on my part from the audience. 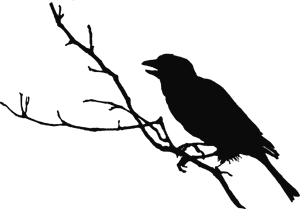 Lost Soul is definitely worth checking out. 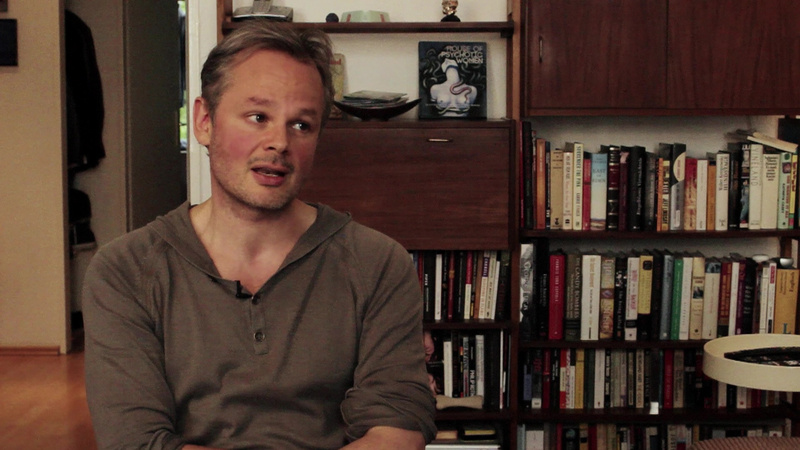 It is a very well made and very entertaining documentary about just how wrong making a film can go. It’s also great to go behind the scenes with former studio heads and actors and filmmakers and see what goes into making movies. 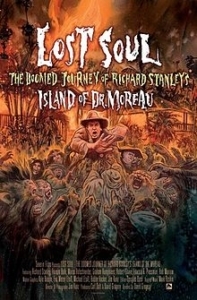 I had a wonderful time watching Lost Soul, and it really left me wanting to see Richard Stanley’s Island of Dr. Moreau. Bravo to Severin Films for such a well put together and interesting film. On a side note, seek out and watch the 1996 Island of Dr. Moreau. It is a mess of a movie, but a fascinating mess at that. Watching Brando and Kilmer is like seeing the patients run the asylum. It would be a great double feature with Lost Soul. And Kilmer impersonates Brando. That’s worth watching right there.